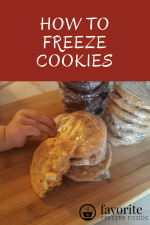 I love making sugar cookies from scratch but year after year I found myself struggling to find an easy sugar cookie recipe that I really like. The kind that taste divine, melt in your mouth and are a breeze to whip together. After testing countless amount of sugar cookie recipes over the years I've finally settled on one. It rolls out easily, it's soft or chewy to match your craving; just flatten it more for crispier cookies. The almond extract adds just a little touch of flavor that I love but isn't so essential. You don't have to run out and buy a bottle if you're out at the moment. This is my go-to sugar cookie recipe. When making sugar cookies from scratch, or any cookie for that matter, it's important to cream together the butter and sugar. Start with room temperature butter or margarine and beat in the sugar until it's fully incorporated. Next add the egg, vanilla and almond extracts and beat it some more. Then add the flour, baking soda and cream of tartar. It's that easy. Now wrap the dough in plastic wrap and prepare to freeze or put it in the fridge to chill before rolling. Preheat the oven to 375 F before rolling out your cookies if you plan to bake them now. Once the dough is chilled or thawed then spread some powdered sugar on the table. Usually you'd use flour but I don't like to add more flour to when making sugar cookies from scratch so I use powdered sugar instead. Dust some on your rolling pin too. Now place the sugar cookie dough on the table and roll it out. I have a picture tutorial of how to roll dough if you need it. 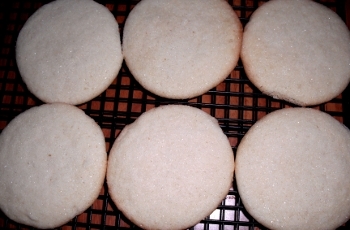 You can freeze your sugar cookie dough before rolling, after cutting or after baking. Cookies should be double- or triple- wrapped for the freezer so they don't get freezer burn or absorb smells and flavors from other foods. I use plastic wrap and one or two layers of freezer quality plastic bags. Dough can be shaped in a disk so it's easy to roll after thawing. Cut out cookies can be flash frozen on a waxed or parchment paper lined cookie sheet then wrapped for the freezer. Baked cookies should be cooled and then wrapped. They can be frosted before or after freezing. If you're frosting them before freezing they should be frozen on a cookie sheet until the frosting is solid before wrapping. 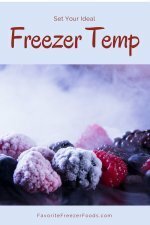 Always label and date the package and add it to your freezer inventory sheet. Sugar cookie dough should be thawed in the fridge for a few hours so it is still cool enough to roll out and because of the raw egg. Pre-cut cookies can go straight in the oven and will take just a few minutes longer to bake so keep an eye on them. If they are browning on the edges too fast lower the oven temp by 15 F degrees. Baked cookies can be thawed in the fridge or on the counter. Unfrosted cookies can also be reheated slightly in the microwave or oven.